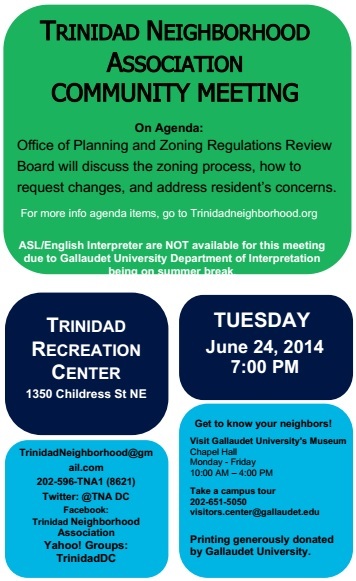 The DC Office of Planning presented an updated Zoning Regulation Review Summary specifically for the Trinidad neighborhood at the June 24, 2014 Trinidad Neighborhood Association (TNA) Meeting. The proposed changes include: use permissions; low density residential; parking; accessory apartments; apartment conversions; alley lot; corner stores; and commercial zoning. Neighbors are encouraged to research the changes and to submit concerns Advisory Neighborhood Commission (ANC) 5D. Due to the magnitude of the changes (over 1000 pages), TNA has formed a committee for members to collectively research the proposed zoning changes towards TNA providing feedback to the ANC. Please join us on June 24 at Trinidad Rec Center! This month, the Office of Zoning will present on proposed zoning regulation changes (the “zoning regulations review”), and review how residents can provide input to the process. Note: An American Sign Language interpreter will be present. On June 10, 2014 our Advisory Neighborhood Commission 5D voted in support of a zoning variance to allow local developer Ditto Residential LLC. to reduce the number of parking spaces for a proposed 4-story 45-unit apartment building at 1326 Florida Ave NE to 16 spaces. Current zoning regulations require a minimum of 23 parking spaces be provided based on the size of the building. 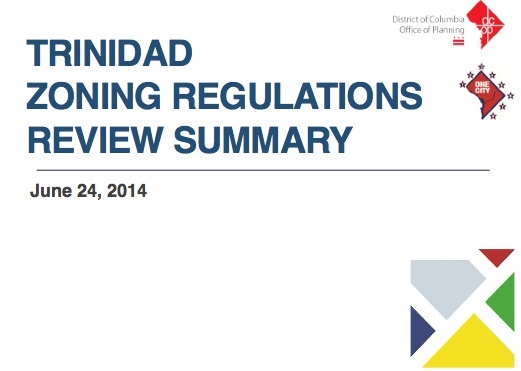 Future zoning regulation revisions may lower the parking space requirement for a building of that size to only 15 spaces, therefore if the zoning changes are approved, then Trinidad will end up with one more parking space than will be required. The District Department of Transportation verified that the new building’s residents would not be eligible for Residential Parking Permits (RPP) because the block is not eligible for RPP. Also, the developer agreed to place a clause in their lease agreements that will prohibit its residents from seeking RPPs. The building will use sustainable materials, and have many energy efficient elements including about 5,000 sq. ft. of green roof space. The project will also create approximately six affordable housing units in accordance with DC law. That will results in a net gain of six affordable housing units where there currently are none. The full variance application documents can be viewed using the Board of Zoning Adjustment’s Interactive Zoning Information System case search (Case No. 18785). Once in the case, all documents can be found by clicking the “View Full Log” button. 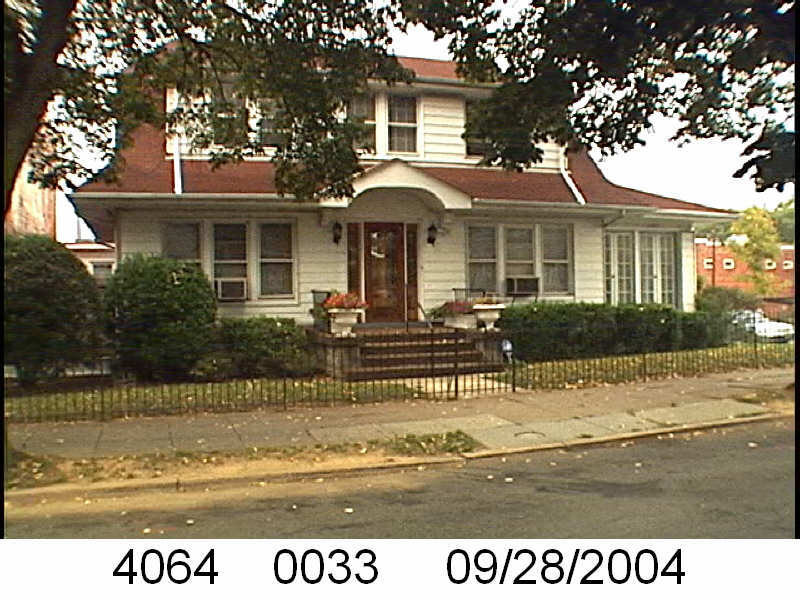 Interested residents can submit written comments to the Board of Zoning Adjustment at bzasubmissions@dc.gov referencing case number 18785, or testify at the BZA hearing on June 24 at 9:30 am at 441 4th Street NW in room 220 South. For more information, contact the Office of Zoning at 202-727-6311.